Three major credit bureaus -- Experian, Equifax and TransUnion -- track your information, but the most important rating is a FICO score, compiled from information in your credit report using metrics that the Fair Isaac Corporation develops. Virtually all lenders rely on FICO scores when deciding whether to give you an installment loan, such as a car loan, or open a revolving account, like a credit card. You're entitled to one free credit report each year from each organization, but you have to pay to see the credit score. You need to understand how FICO scores work before you apply for any new credit. They're based on five factors: payment history, amounts owed, length of credit history, new credit and types of credit. Payment history and amounts owed together make up about 65 percent of your score; new credit only about 10 percent. If all your other accounts are current and they aren't close to being maxed out, a credit card rejection won't hurt you much. Under the federal Fair Credit Reporting Act, if you are turned down for credit, you have the right to request from the creditor the reasons for the rejection, and you have the right to a free copy of your credit report. 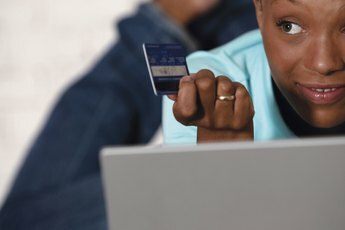 You will probably still have to pay to see your credit score, but the credit report along with the reasons for denial should tell you what you need to know. Check the report carefully and dispute any errors, such as accounts that don't belong to you, or very old items that should have dropped off (most negative items should drop off the report after seven years). A credit card rejection won't hurt your credit score, if your other factors are good, because the rejection itself isn't reported. 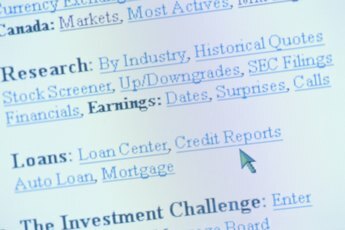 It's only the credit inquiry -- the note on your credit report that shows that you applied for credit -- and not the result of the inquiry that shows up on your report. A series of inquiries can lower your score if they indicate you are seeking a lot of new credit. Shopping for a car loan in a short period shouldn't hurt, for instance, because FICO can see that you are shopping multiple lenders for a single loan, but applying for several different credit cards makes it seem like you're planning a big shopping spree. 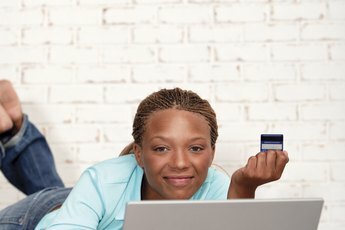 It makes sense to order a free copy of your credit reports through AnnualCreditReport.com or even pay for a FICO score before applying for a credit card, so you can try to assess your chances of acceptance before risking the inquiry. Making payments on time and reducing your overall debt is far more important than a single credit card rejection. 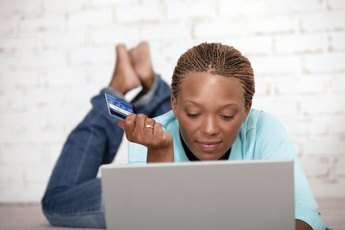 A credit inquiry can hurt your score more if you don't have a good credit and payment history. The FICO rating looks at how long you've had credit and what sort it is; if you have other credit cards with current payments, one inquiry should have minimal effect. Experian: Will Credit Card Refusal Affect My Credit Rating? What Kind of Loans Will Improve Credit the Most?